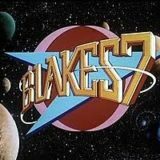 Blake – Orac has pinpointed Blake’s location and reveals to Avon and the crew of Scorpio that he is on the lawless planet Gauda Prime, where Blake has given up fighting against the Federation and is now a bounty hunter. However, the Scorpio crew suspect that Blake has betrayed them and has sold out to the Federation. 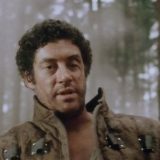 Stardrive – Scorpio is damaged in a collision course with an asteroid and the Scorpio crew require a stardrive from Federation scientist Dr Plaxton so they can out-run all pursuit ships from the Federation. Dr Plaxton is, however, working for some space pirates.